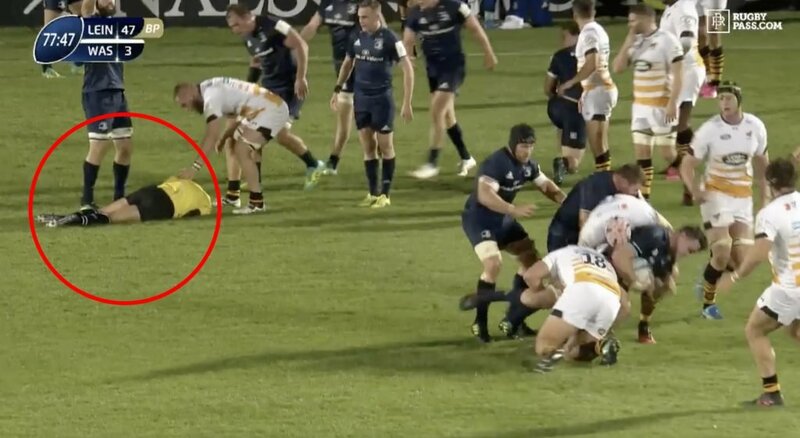 You VERY rarely see this kind of thing in a rugby match. The last time we can note seeing this kind of thing was when Mathieu Raynal unfortunately broke his leg in a tangle in a match. The referee is taken out!